Thilli$$$: Relax. Special prosecutors are GOOD FOR YOU. Never mind that the whole concept of a special prosecutor flies in the face of that silly lil’ ol’ Constitution. […] Letting his investigation run its course is in the best interest of the country, and it is the only option to ensure that the American people have trust in the process. This is critically important because it means when the investigation concludes, our country can move forward together. Our bill will help ensure that happens. I have received a good deal of criticism from some on the right for introducing special-counsel legislation, with the common refrain being that it is harmful to President Trump. It isn’t, for two main reasons. First, if the president actually removes the special counsel without good cause, it would likely result in swift, bipartisan backlash and shake the country’s faith in the integrity of our legal system. Talking heads and pundits on television encouraging the president to make such a drastic and counterproductive move most certainly do not have his best interests at heart. The result would not be good for the American people, the Republican Party or the president. […] As our bill advances, I hope congressional Democrats, particularly on the House side, will not react by sending fundraising emails or by running to the closest camera to shamelessly use this bipartisan bill — the result of compromise on both sides — to attack Republicans and advance a partisan agenda. 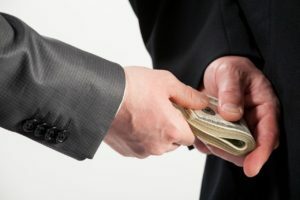 They would be intentionally distorting the spirit and intent of the bill to raise campaign cash and score political points heading into November’s midterm elections. Shame on them if they do so, because they risk harming any chance of the bill becoming law. In fact, such tactics would raise the question of whether that was their intention in the first place, as the bill becoming law could take a political issue off the table for the midterms. If Democrats do proceed this way, I would not blame my Republican colleagues — the vast majority of whom support the Mueller investigation proceeding without interference — from declining to reward such partisan behavior. 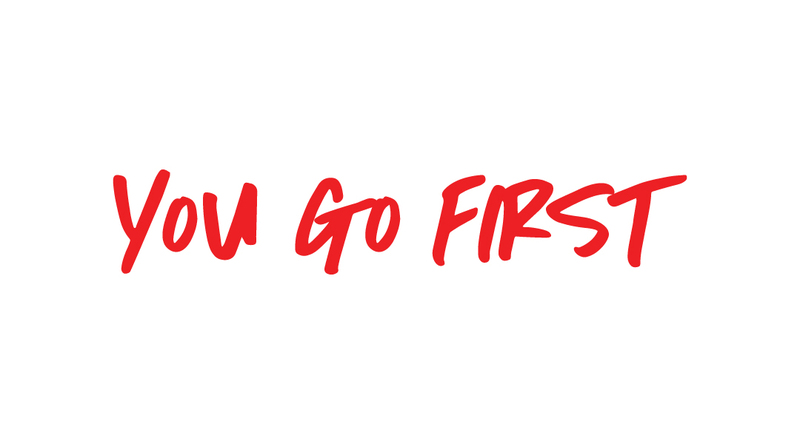 Political grandstanding requires no courage — independence and compromise do. The focus needs to be on achieving a legislative outcome, not a talking point. There are Senate Republicans who want to get to “yes,” and can get there, especially because the bill will be subject to an amendment process in the Senate Judiciary Committee, where the bill can be improved. Democrats who support the bill for the right reasons and want a result will be working hand-in-hand with Republicans to build consensus and get us closer to 60 votes. The Special Counsel Independence and Integrity Act is about protecting the rule of law and producing an outcome that is good for our country. It’s not about producing an outcome for one political party. We will soon find out if both sides can agree on that. Again, how is legitimizing a scheme that has no constitutional basis or support whatsoever GOOD FOR THE COUNTRY? How is allowing this Mueller guy and his team of Clinton and Obama operatives run amok with practically no limits and the full power of federal law enforcement at their disposal GOOD FOR THE COUNTRY? I have an idea. If ol’ Thom thinks special prosecutors are such a good idea, let’s give HIM one. Seriously. Remember when he ran for Senate while simultaneously serving as speaker of the North Carolina House? There was some interesting timing and correlation during that time. (And THIS too. And this.) He’d praise stuff on the campaign trail, get contributions for his Senate campaign from supporters of said stuff, and then we’d hear the House was ACTING on said stuff. Sound a little pay-to-playish to anyone? If a special prosecutor is good for US, and TRUMP, I think it probably would be good for Thom Tilli$$$ as well. ← (*THUD! *) UNC law school falls down. Can it get up? We need to tell Traitor Tillis in 2020 that PRIMARY DEFEATS are good for you when you support a partisan witch hunt using police state tactics that would embarrass many banana republics. can we recall this so call republican another rhino !!!!! 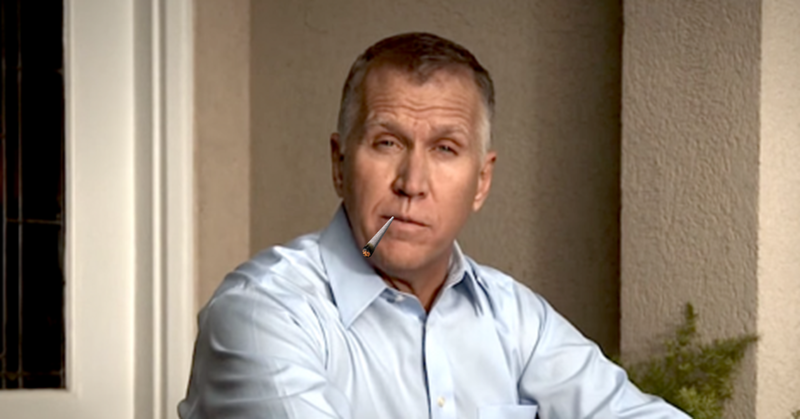 No, he’s not a RINO, we who were trying to get Greg Brennon elected knew that Tillis was a low life democRat in republican clothing. The GOP used the democRat play book to get him elected. I agree down with Tillis. He is a RINO. A Democrat in disguise. I’ll be voting for a different Republican or not at all. Tired of Politicians staving We the People in the back. They are nothing but liars and corrupt. They all need to be voted out and elect those that are not politicians. Then investigate every damn law maker for corruption. I agree with you 100% . I voted for Tillis and why Obama I screwed up . 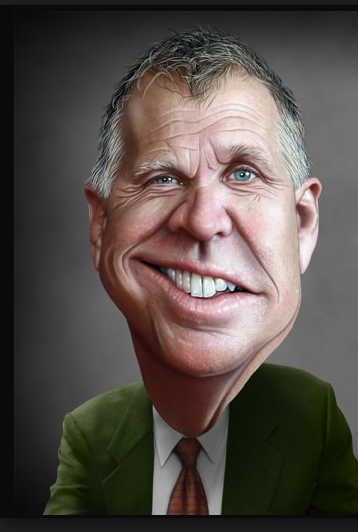 I looking forward to voting against Tillis in NOV , because appears to be another John McCain . Make belief republican , really a democrat . 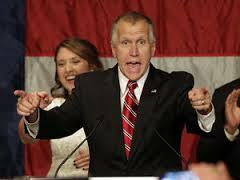 Turncoat Tillis will never win another Election in NC. What a Democrat Loser he is. Tillis has turned into a rino in the short time he’s been there. Vote him out. No good for conservatives. I disagree that he has turned into a RINO in a short period of time. Tillis has BEEN a rattlesnake for years. He’s just a smooth talker and knows how to fool people. He is the choice of the deep-state establishment, but is an enemy of We The People. Why aren’t Special Investigations limited? Why are no parameters set to begin with? 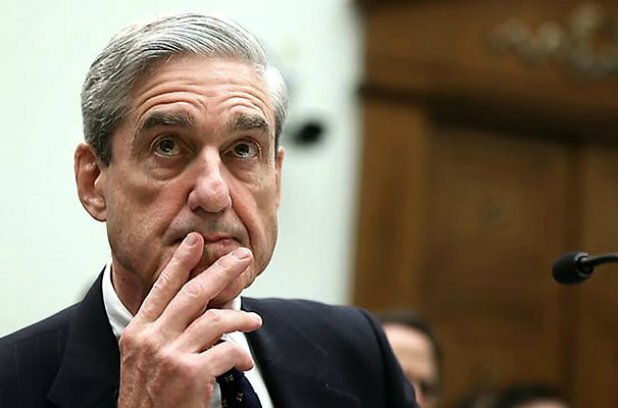 Mueller’s investigation (Because Hillary lost) didn’t turn up any Russian collusion, so why does he get to continue on into Trump’s past? When does the spending end? I bet money if a special prosecuter had been assign to Hillary ,there would have been limits ! I am a N. Carolinian. I am sorry I voted for him. Hope some one more Conservative runs against him in the Primary and wins. He has been a big disappointment. We had Greg Brennon running against him last time, but no one looked farther then the POS Tillis. Get rid of all Rinos! 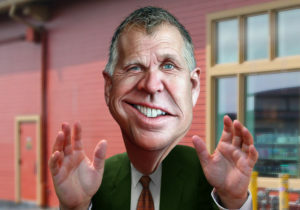 Tillis is one of the worst! Vote him out! Just who does he think he is going against the will of North Carolinian voters. He is nothing but a democrat skunk pretending to be a republican. Never a vote from me ever! Tillis is and has been an extreme disappointment as a Senator. I voted for the guy, and am sorry now that I did. He turned into a RINO in record time…that will be his only legacy. Somebody decent needs to run against him during the next election. I will not vote for him again. Haven’t you suckers figured it out yet? 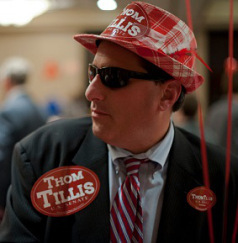 Me and David Lewis have already engineered Thom’s renomination with our Thom Tillis Protection Act that reduced the number needed to win a primary to 30% instead of 40%. Yeah, I know you peasants in the grassroots would like it to be 50%, but we in the elite make the rules. You see, we looked at Thom’s mentor, Lindsay Graham in SC. He always thumbs his nose at you grassroots peasants and still stays in the Senate by dividing his opposition. Well, that and letting non-Republicans vote.in the primary. Between bringing in multiple primary challengers and letting non-Republicans vote in our primaries, our 30% rule will let our Thom gain renomination, no matter what you peasant grassroots think or want. Our NCGOPe is all about our own power, not about representing the views of the rank and file voters, and as long as we stay in power that is the way it will be, suckers! There was a true constitutional conservative in the primary, Dr Greg Brannon. The establishment, Tillis , Harris, etc did everything possible to destroy him. He ran on the constitution , the only document which binds the government, yet the Republican Party ( so called , party of the constitution, lol) lead by Robyn Hayes, getting Harris in , only to make sure progressive Tillis won. Harris obeyed his party leaders and they used him only as a diversion. Now Pastor Harris has decided that he likes the political power and is running for office again. The establishment is terrified of people like Greg Brannon because they know he would have worked to bring real change in DC. What a shame to allow yourself to be a political puppet and not a strong conservative who fight for the Constitution, Greg Brannon…the real deal! yeah, that part got me too – did he really think he would convince anyone other than a prog that virtually all the GOP supported Mule-R? I’ll be voting for WHOEVER Tillis primary opponent will be next month!!! Time to vote ALL RINO’s out! You will have to wait until May, 2020. It is a six year term. Tillis badly needs to go. It is sad we do not have recall to get rid of him sooner. I moved here to get away from corrupt ‘regressive’ NYC politicians only to find they are popping up here!? – I don’t think so. I will not vote for Tom Tillis again – fool me once, sorta thing. I hate RINO’s and Tom Tillis is a RINO. 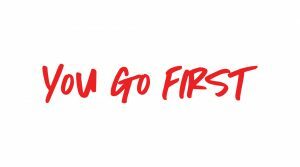 Let Mr Tillis start a bill for term limits and “we the people” get to vote on exactly what pay raise they might deserve. Who here wouldn’t just love to vote themselves a pay raise? It doesn’t happen for us, it shouldn’t happen for them. oh, also they get Obamacare, not special care – all laws they pass on to us, MUST apply to them – no special privileges. And while we’re on it – why isn’t it insider trading illegal for them? they all retire millionaires, Mr Tillis is full of bullchit. he’ll be a one term u.s. senator and then he can run as a democrat! The literal raiding by the FBI of the Presidential lawyer, Michael Cohen’s offices is OVER THE TOP! We sit out here WAITING for Hillary’s GROSS MISHANDLING OF CLASSIFIED EMAILS to be investigated AND PROSECUTED, and nothing happens….NOTHING!!!! Thought this whole Special Prosecutor deal was supposed to deal with the Russian collusion canard where more evidence links the Clinton/Obamas to Russia, than Trump! The scandal in the DC swamp is the naked attempt by the haters of this President to bring him down. 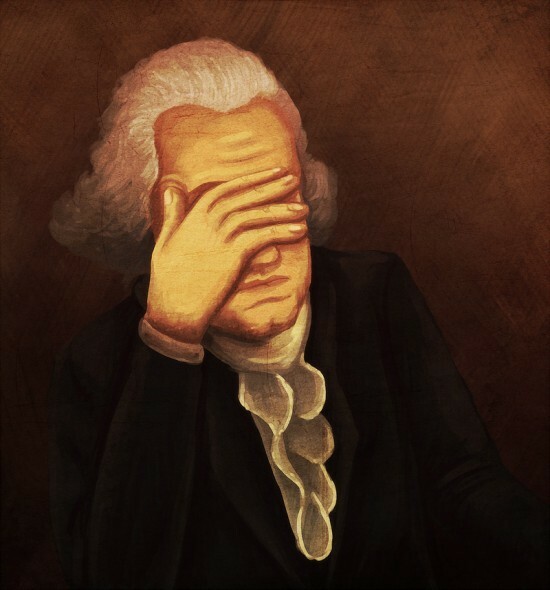 We are astounded that so much LYING, THIEVING AND NAKED POWER ABUSES is going on by Trump haters within the Justice Department and the FBI; and soon NO ONE WILL BE SAFE in this nation, once proudly ruled by LAW . This looks like more like a coup is underway than a legitimate investigation. Stand by this President, Senator. He got elected fairly and squarely. We are appalled at the corruption within our government and it would seem the Republican Party is either mute, impotent —OR PART OF THIS MESS. I would appreciate your joining with your Republican colleagues and END THE MULLER WITCHHUNT!